The Elderly Club is considered a model for distinctive work, as it has achieved great popularity among those who make close or distant connection with the club. 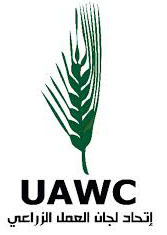 The club was established in 1998 in Beit Sahour with the efforts and support of HWC and in cooperation with the Family Development Association. In 2012, the club has 150 members including elderly males and females from inside and outside Beit Sahour. Many delegations have visited the club to provide the financial and moral support, which are vital for the continuation of the provision the services for the elderly through the club. Several of those delegations remained in contact with the administration of the club and others have returned for additional visit accompanying other delegations, who have heard about the club and its activities. Thus they became inspired to visit it and committed to provide assistance for it. Furthermore, parts of those delegations have volunteered for the club assisting the staff to accomplish their daily tasks. Moreover, they took the responsibility of tackling development issues, which aim at promoting the lives of the elderly. This is considered one of the success stories of the elderly club, in addition to the support from several community members of Beit Sahour who supported the club . One of the most vital services provided for the elderly club members is medical services. In addition to the social services including entertainment, field trips, extracurricular activities, cultural events, medical seminars and many other events.